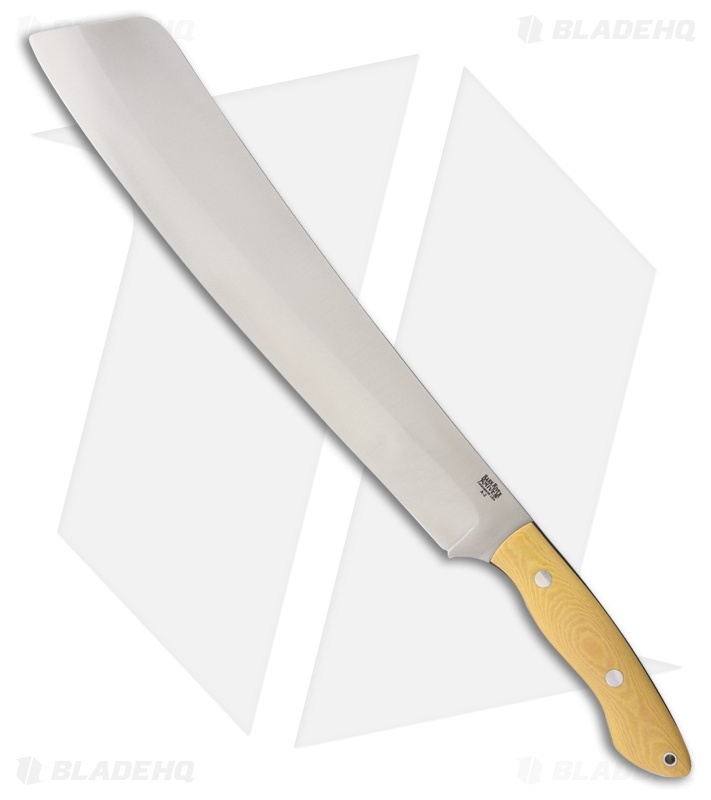 The Bark River Senegal jungle knife is a modern reprisal of the popular French Senegal knife used from 1914 to the 1950's. Heavier than a traditional machete, the Senegal boasts a 14" satin finished blade that is 0.22" thick. Capable of clearing brush, blazing a trail, fire prep, chopping heavy logs and branches, the Senegal can take it all. Special attention is paid to the blade geometry for optimal cutting power without excessive fatigue. 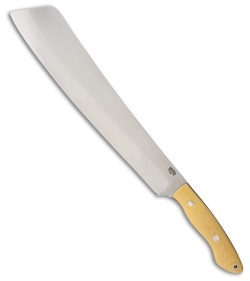 The contoured antique ivory micarta scales provide a solid platform to wield the Senegal safely and accurately. The included hand made leather belt sheath, safely stows the Senegal when in not use.